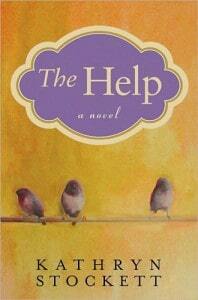 Here’s the next set of discussion questions for The Help Read-Along. 1. Aibileen has a very close relationship with Mae Mobley, unlike Elizabeth, who runs off to get her hair done on the morning of Mae Mobley’s birthday. How does Aibileen make Mae Mobley’s birthday special? Do you think Mae Mobley will remember Aibileen’s little kindnesses when she is older, or will she forget? 2. Compare and contrast Aibileen’s relationship with Mae Mobley and with what you learned about her relationship with the boy she once took care of. 3. How does Skeeter retaliate against Hilly regarding maids being required to use a special bathroom? At this point, do you think Skeeter cares any more about the league or her friendship with Hilly? 4. Minny and Celia experience a very intense moment in Chapter 24. What do Celia’s actions reveal about her character? How might the intruder’s break-in change their relationship? 5. Aibileen cleverly disguises positive lessons about racism in the stories she tells Mae Mobley. How likely is Mae Mobley to grow up with a perspective different than her own mother’s because of Aibileen’s influence? 2) Aibleen is closer to Mae Mobley than she was to the boy she previous took care of. She is kind to Mae Mobley and is always telling her what a good girl she is with the boy she just stood by and felt bad when his father use to beat him all the time. 3) Skeeter retaliates by having all the toliets delivered to Hilly’s house and dumped on her own lawn. I don’t think Skeeter really care at this point about her relationship with Hilly or the league. 4) Celia’s action reveal that she cares about Minny that she feels Minny’s life is important too and she doesn’t see herself as better than Minny because Minny is black. I think that the intruder’s break-in will make them closer because Minny realizes that Celia is not just another white woman looking down on her, she genuinuely cares about her and was willing to risk her own life for her. 5) Mae Mobley will grow up differently than her mother she will remember Aibleen and what she taught her whereas her mother probably didn’t have anyone in her life who thought any different than she does now and so that is what she learned and why she thinks the way she does now. I just found your read along and wish I had seen it months ago. This is a great idea and I read the book durring my rencent move cross country. 1. I think Mae Mobley’s memorires of Aibileen will depend on how much of the rest of her life goes (I know this is a bit of a strange answer especially since the book is just a pie slice of these people’s lives). I remember select things from when I was Mae Mobley’s age and I think many of them depend on how impactful they were at the time and if anything impacted me greater or along the same lines later. However, I would like to think that Mae Mobley will remember Aibileen with great fondness for the rest of her life. 2. Aibileen learned a lot from taking care (and standing by) of the little boy and all the other children she looked after. I don’t think that she could have been the caretaker to Mae Mobley that she was without having made the mistakes she made in the past. 3. To me Skeeter is starting to see her friend for what she truely is and Constanteen did not raise Skeeter to treat other people in the manner that Hillie does. There is a point in many women’s lives where they see things and people for who they really are instead of who they think they are or who they once were. Skeeter is at that point. 4. Celia may be one crazy woman but she isn’t week and this is where you finally see that. I love this part of the book it had me cringing, on the edge of my seat and finally laughing all at once. I think Celia has spent most of the book struggeling to fit into this new life, not feeling “good enough” and at the same time trying to shed who she is/was and this scene mixes her two lives together bueatifuly. 5. Mae Mobley is living in a different time than her mother. So on top of the stories that she shares with Aibileen she will have other historical events that will infulence her and give her a different perspective on life. On a side note, I hope you do more read alongs. Looking forward to the rest of the questions and other’s answers. I’m feeling rather terrible that my memory is completely failing me when I loved the book so much! I’ll do my best though…..
1) I think Mae Mobley will remember Aibileen’s little kindnesses because little kids remember way more than we give them credit for and I believe they always remember people who are nice to them. I think Mae Mobley is closer to Aibileen than she is to her own mother. 2) I agree with Jeryl. I think Aibileen feels guilty for not doing more for the boy she took care of and has vowed not to just stand by again while Mae Mobley’s mother treats her badly and is instead always instilling in Mae Mobley the sense that she is special and worthy of love. I think she is closer to Mae Mobley than she was to the other boy as a result. 3) Skeeter no longer cares about the league or her friendship with Hilly. In working on this book, she has come to feel disgust at the actions and beliefs of her former friend and in retaliation, instructs people to leave their toilets for the initiative on Hilly’s lawn. 4) I think this is when Minny finally realizes that Celia is not like the other white women she knows; instead, Celia shows that she genuinely likes, respects and cares for Minny and judges people based on their character, not their skin colour. 5) I think Mae Mobley is growing up with a perspective different from her mothers. Already, she is aware of the fact that the stories Aibileen tells her are not consistent with her mother’s beliefs and tells her mother she learned the lessons at school to keep Aibileen from getting into trouble. I think she will learn to love people based on who they are as opposed to what colour they are.